Flue Steam provides the expert swamp cooler service Culver City CA you need to keep your kitchen air circulating properly. Making sure that hot air can leave the kitchen is always an important concern. However, making sure cool, fresh air enters the kitchen is every bit as vital. This is why kitchens have swamp coolers. Your swamp cooler provides an essential health and safety service by making sure that all the hot air leaving the kitchen gets replaced with cool, clean air. Getting regular swamp cooler service Culver City CA from Flue Steam can help make sure you can rely on your swamp cooler to provide effective and reliable cooling. Do You Need Swamp Cooler Service Culver City CA? Because we offer emergency swamp cooler repair, you can call us and expect your kitchen atmosphere to return to normal right away. 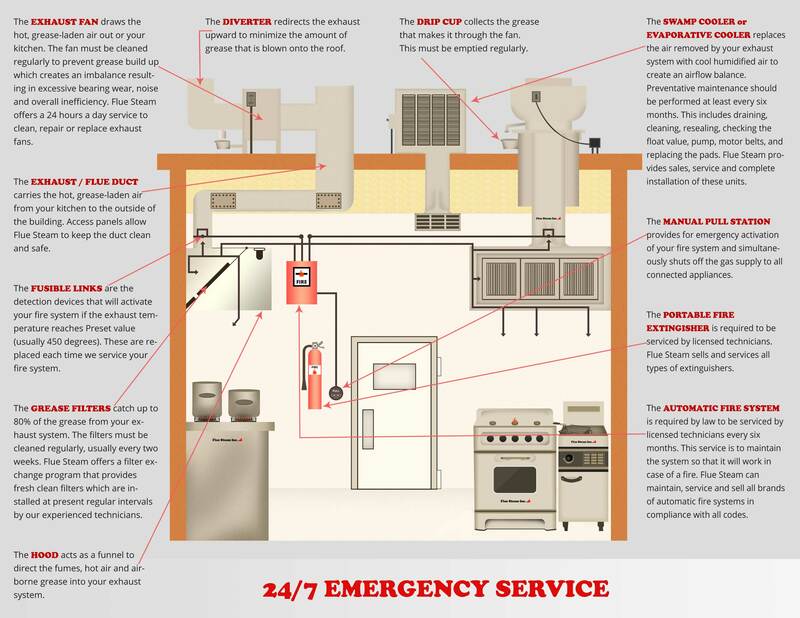 We offer a complete range of kitchen air control and fire prevention services, making us an excellent choice of swamp cooler service contractor. We recommend getting your semi-annual swamp cooler service at the same time as your steam cleaning. This saves you from the inconvenience of arranging two separate service visits. An additional benefit of working with us is that we always inspect the exhaust fan during a steam cleaning. So if you have us provide a cleaning and swamp cooler service, you’ll know that both the intake and the outflow parts of your system are working properly. 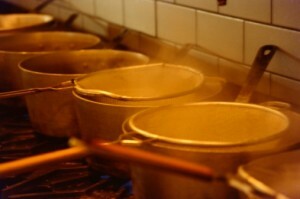 Does your restaurant kitchen have an automatic fire suppression system?